The future is now and the future is Cloud shaped. Paradigm Systems provide businesses of all sizes with the Cloud Solutions and IT services needed to survive and thrive in the 21st Century. They manage to combine a firm grasp of deep and established IT infrastructure with an understanding of innovative Microsoft Cloud IT solutions. They’re here and now but they’re also tomorrow, and clients sharing that view include TimeOut, AXA, National Lottery Commission, BP, Siemens AG, London Stock Exchange, Natwest Bank, Barclays Capital, The British Council and Sport England. 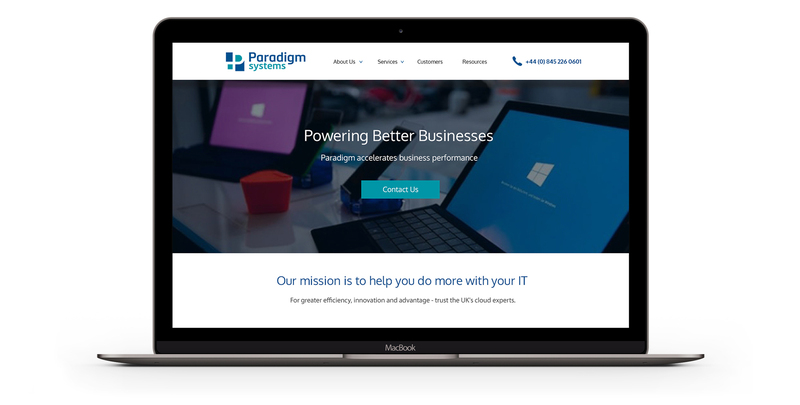 As might be guessed, Paradigm wanted a site that was utterly modern and wholly mobile friendly. They also wanted a reflection of who they are and what they’ve become, which is to say established, trusted and successful Cloud specialists, working with over 145 businesses and achieving 100% growth year on year. Their team had expanded and their ambitions were soaring, so they wanted a website that reflected their place high in the clouds, and at home on The Cloud. When they came to us, Paradigm had a site, which failed to represent who they were. It was dated and wasn’t optimised for mobile access. The journey was unclear, and contact details and calls to action were missing. With faults as basic as this, the objectives were simple – rebuild the site with clear, streamlined navigation and obvious calls to action. Clutter was removed, structure was simplified and Paradigms’ online presence was elevated to a position far above that of their competitors. 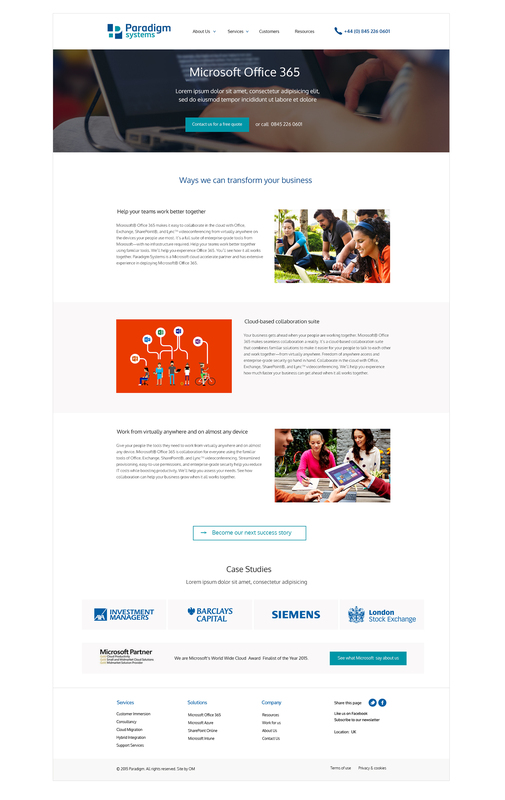 We did to the site what Paradigm do to the cloud – simplified it, made it accessible and presented it to the end user in a slick and coherent fashion.